This evening I arrived home from work and found a parcel from FedEx waiting for me. 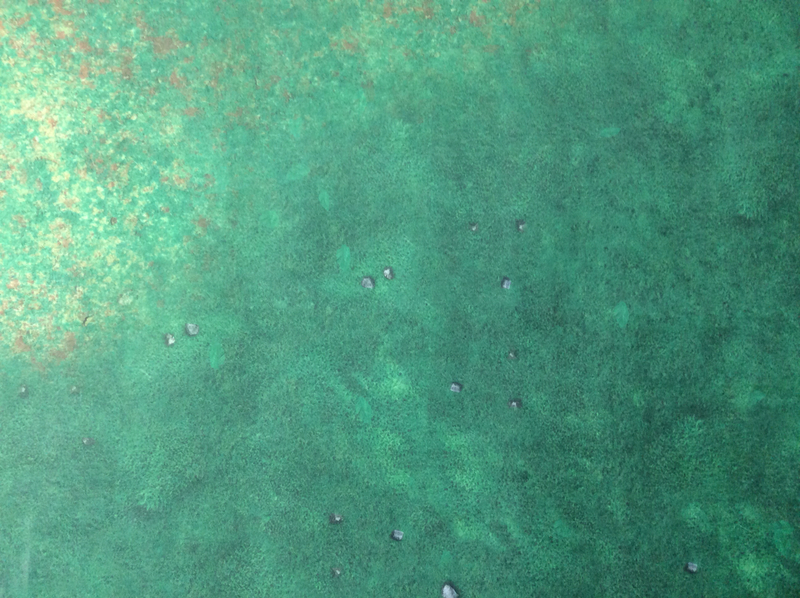 Inside was a 6' x 4' gaming mat I ordered in October last year. The supplier was Gamemat.eu out of the Czech Republic. To my knowledge, Gamemat.eu was the second company into the mousemat gaming cloths - after Frontline Gaming and their F.A.T. Mats - and late last year extended their range. 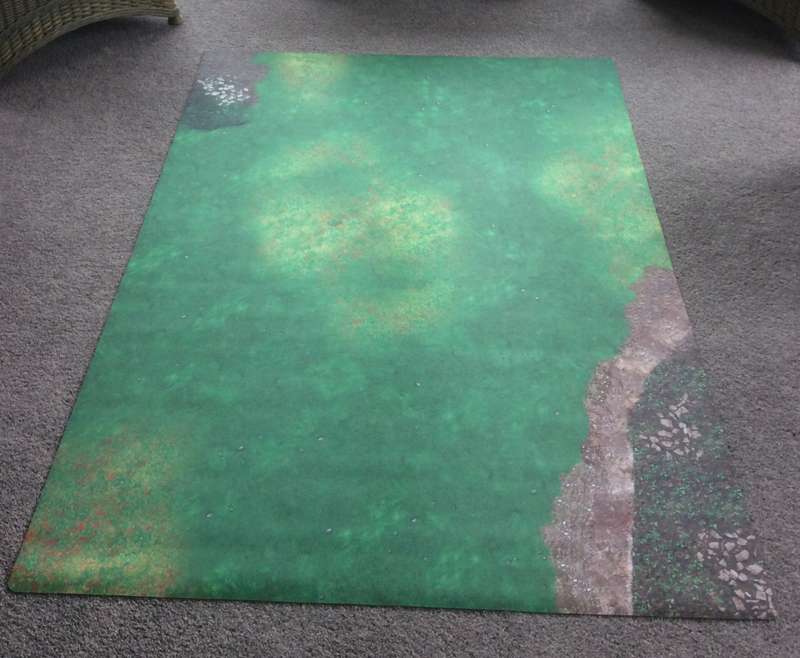 As part of this expansion they offered a promotion that allowed me to have a mat delivered to New Zealand once it was produced for NZD 135 (approx USD 90). The normal price to NZ is around $160 - which is about 10-20% cheaper than the F.A.T. For US customers the price including FedEx five day delivery is USD 82 - you lucky guys are only charged USD 20 whereas we Kiwis wear USD 40. My mat was their MEADOWS OF WAR. So what's it like? I'll let the pictures tell the story. 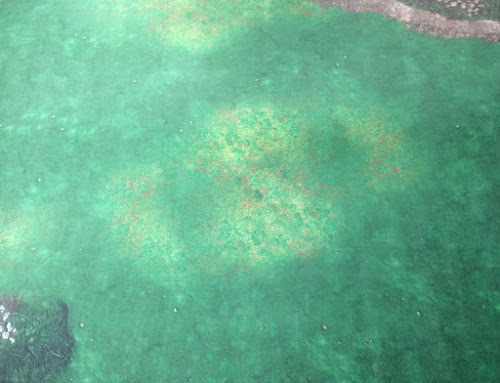 I think that the resolution on the mat is superior to that of the F.A.T. Mat as you can see from the photos. There is very crisp definition of detail. 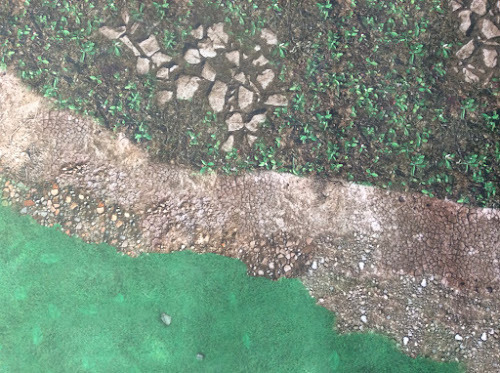 I like the slightly exaggerated green and think that it will look great with terrain placed on it. 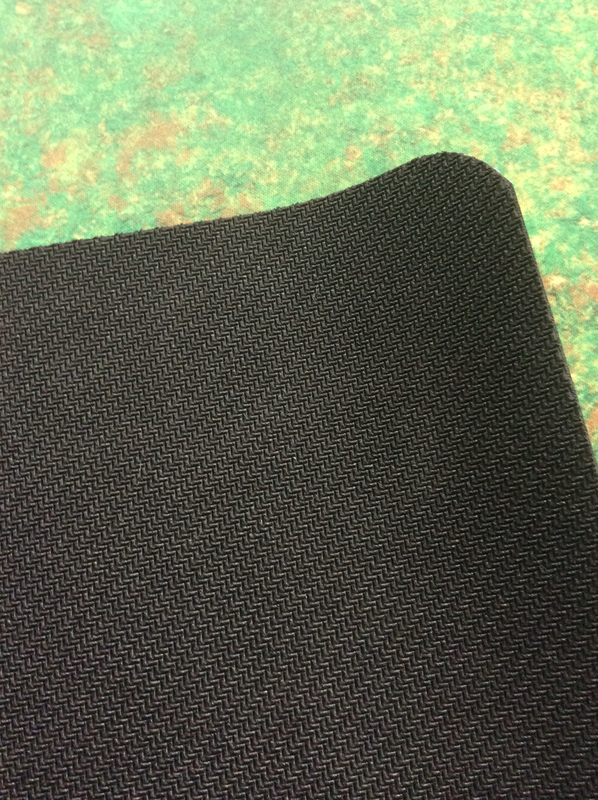 As with other mats the back is rubberised and has sufficient weight that the mat easily lays flat. It also comes with a handy black canvas zipped carry case that I think is more functional - and more durable - than the frontline product. So all in all I am very happy with the mat and it joins my Frontline Blast Zone and Winter War mats. I have one more mat coming from the recent German Kickstarter I supported. This is due in April/May and is more a desert theme. 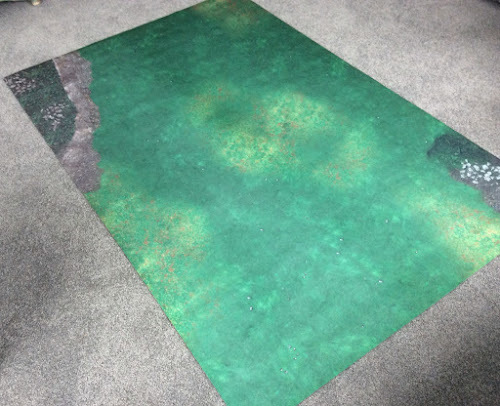 If you are interested at all in mats then I'd definitely check out the Gamemat.eu website, for me they provide a high quality product in a growing market and this mat is the best for a traditional fantasy terrain setting.